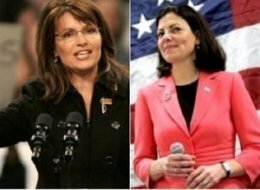 Reading on the always interesting Huffington Post, I ran across this – “Sarah Palin’s Endorsement Of Kelly Ayotte May Have Hurt Senate Candidate’s Campaign (POLL)“. The excerpt from the poll of New Hampshire voters was classic. I make no real claim to understand American politics and I get the impression that neither do most of the voters there. However it does appear to me that the screaming RWNJ (right wing nut jobs) there are starting to lose influence even within the Republicans because of their ability to turn off moderate voters as well as their disruptive campaigning against the selection of candidates that may even have a whiff of ideologically impurity. For example in the Utah primary, which has a rather interesting pre-selection system for GOP senators..
WHAT’S not to like about Senator Robert Bennett? The grandson of a Mormon leader and son of a senator, he is as much a part of Utah as the Great Salt Lake. His conservative Republican credentials would have seemed impeccable not long agoâ€”he opposes abortion, likes a flat tax and voted against Sonia Sotomayor for the Supreme Court. There were questions about his role in the Watergate scandal, but that was long ago, and Mr Bennett, 76, has spent three terms in the Senate without notable sleaze or incompetence. Other senators like him. So do politicians in Utah. Mitt Romney, still a star there, endorsed him for a fourth term. And yet, in this unusual year, this was not enough for Utah’s Republicans. At their convention on May 8th they ejected Mr Bennett unceremoniously from participating in the Republican primary on June 22nd. 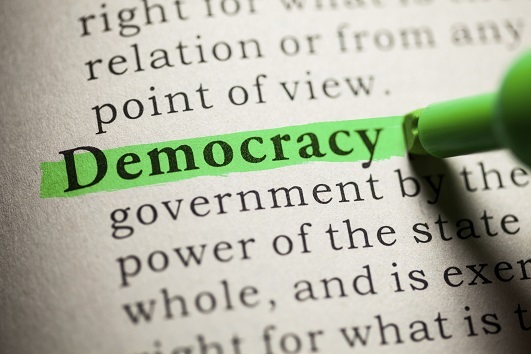 Utah’s nomination process is unusual in that relatively few party faithful, through a caucus system, have the power to pre-select candidates for the primaries, knowing that Republicans invariably win the general election. Had Mr Bennett faced all registered Republicans, he might have survived. Tea-party candidates in states with traditional primaries have not done well so far. The problem for the RWNJ tea party activists is that winning these selection battles may mean that they lose the war – their hand picked candidates run into the moderates like those in New Hampshire. Merely knowing that the tea party or one of their favorite politicians has endorsed a candidate becomes sufficient to turn moderate voters off them. In some cases (probably not in Utah), this spoiler effect will be sufficient to tip the election. I think the Obama ‘endorsement of doom’ is worse at this stage. Democratic candidates prefer to have Bill Clinton campaign for them and Barry to keep away. We’ll see in November I guess. The donk strategy looks like it’s gonna try and tie the GOP to the radical wing that supports Palin. Which is fair enough given the congressional GOP are acting like complete nutjobs. Democratic National Committee Chairman Tim Kaine and several Democratic House members today unveiled the new Democratic midterm attack plan against Republicans: GOP = Tea Party. In an effort to demonstrate what they see as the dangers of Republican Congressional control, Democrats will spend the next few months until Election Day trying to tie all Republicans to policies advocated by some members of the Tea Party, including repealing the health care and Wall Street reform laws, abolishing the Departments of Labor and Education and the EPA, and ending Medicare…. …Presumably, the DNC has extensive polling data on this, which likely shows the American mainstream — especially self-described “independents” and swing voters — turned off by Tea Partiers’ radicalism. Which leads to the stronger part of the Democrats’ plan: it puts Republicans on the defensive. Indeed, yesterday, GOP leaders were quick to denounce, and sometimes even mock, the new Democratic effort. But when reporters asked if the DNC’s charges are true — in other words, whether Republicans and Tea Partiers really are one and the same, with an identical right-wing agenda — those same GOP leaders suddenly felt shy. An RNC spokesperson “would not say whether the RNC disagrees with any of the 10 agenda items.” A wide variety of Republican officials were quick to respond to the DNC’s initiative, but not one was prepared to “refute specific points.”…. I think the Obama â€˜endorsement of doom’ is worse at this stage. Polling report is a great place to find all sorts of data. I’d guess the favorability ratings for Obama and Palin are the things you’d want to look at. Personally I think Palin is a distraction, for the dems and the GOP. I’ve often wondered how she manages to get media coverage, but the weird thing is that even though they mostly ridicule her, the media seem unable to ignore her. Guess for them that like her a lot, there’s a bit under 2 that don’t like her, a lot. That makes for good copy. Also, and too, her new gig is a whole new form of wingnut welfare. I wouldn’t be surprised if she doesn’t run at all, she makes more money doing the rounds and she doesn’t have to do any hostile interviews ar anything, She just dishes out a tweet and the press jump on it giving her publicity for her speeches and ‘fundraisers’. It’s quite the racket. I don’t think she will run as she can’t win and it would be a waste of money (she may participate early but will drop out before the costs skyrocket). She is simply making as much as she can while her shelf life of public attention lasts. She isn’t relevant to 2012 in my opinion. She is simply soaking up all the heat from the Dems and supporters until the real target/s emerge. Oh I think she’s doing a lot more than that. She’s getting her crowd all fired up and radicalising the GOP. Which is why all the GOPpy congress critters refuse to condemn the Tea Party. They now own the GOP. The GOP primary is going to be hell of interesting if she runs. The other candidates will have to go hard at her, but she is hugely popular with the most enthusiastic GOP base dwellers. And yet, the GOP funders and serious power brokers all know she won’t stand a chance in the general, so will be out to find the candidate to beat her. That’s why her current funding is so important. She needs to get it early and get all the mail lists set up for a funding stream outside of the big GOP money boyz. It could be a bloodbath. IS chris carter the new sarah palin? Heh… but nah, Palin tried her darndest to get McCain elected because she knew that he was her best, and probably only, chance of getting anywhere near the Presidency. Unfortunately the mere proximity of a bewildered and somewhat unlikeable kook to a leader who might otherwise have been saleable was what wrecked his credibility and thus his chances.